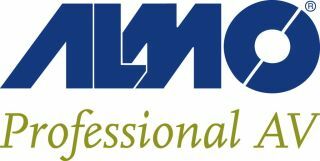 Almo Professional A/V will host its first E4 AV Tour event of 2014 in Dallas on March 11th. Registration is still open. E4 Dallas, in partnership with InfoComm International, will include a keynote address focused on pre-engineering AV into smart buildings, and new courses led by some of the biggest names in the industry, including Tom Stimson, past president of InfoComm International. E4 Dallas will also feature more than 35 manufacturing partners and networking opportunities with business colleagues and other AV professionals. Craigmyle noted that attendees can expect a lot of firsts at E4 Dallas, including new products from Samsung, Sharp Aquos, Planar, Canon and BrightSign. “Well-known industry veteran Tom Stimson has joined the tour to share his expertise on how to win more business in today’s changing reseller world. And we have a new keynote on the emerging importance of integrating AV into the Building Information Management (BIM) layer,” Craigmyle explained.